Absolutely adore may working difficulty for your daily life along with expansion of what most people passion. Could anyone out there please interpret this? A virtual pint for the most entertaining interpretation. The title of this blog is, obviously, a bit of a joke. But not entirely a joke. Arguing is not necessarily, I’d argue, a bad thing. Indeed, given how given I am to arguing, I tend to see it in rather a positive light. For what’s an opinion worth, any opinion, if it doesn’t have a bit of argument to go with it? Looking around various discussion boards on the net, there appears to be a general feeling that an opinion is, somehow, sacrosanct. “It’s my opinion and I am entitled to it.” I’ve frequently seen that sentiment expressed quite explicitly. The mere statement of mere opinion is widely seen as the end of discussion, and challenging it virtually a personal affront. Patrick Stokes, lecturer in philosophy, takes issue with this: you’re not entitled to your opinion, he thunders. (Or, at least, I imagine he would thunder, for if anything is to be thundered, it is this.) You are entitled only to what you can argue. Splendid rhetoric, but even as I applaud, I can see that it’s not really true. Of course you are entitled to your opinion. Everyone is. But what you are not entitled to is to have that opinion taken seriously. That accolade you only get that if you can present an argument for your opinion. That argument may be a good one or a bad one, or, most usually, something somewhere in between; but when an argument is at least presented, we have a starting point from which we can go on to determine how good or otherwise the opinion is. Without argument, we have nothing – not even that starting point. And yet, arguing is something we never teach our children to do. We tell them when they are very young not to argue – and quite rightly, for arguing is not something one can do well without first acquiring some ability; but we never reverse this teaching when they are old enough to learn to argue properly. For, properly considered, arguing is a skill, and it does need to be learnt. The art of rhetoric, and the understanding of even the most basic rules of logic, are all inexplicably absent from our liberal education, and, as a consequence, argument is seen as a bad thing, and “argumentative” as a pejorative. And all we are left with is mere opinion. To which, we convince ourselves, we are entitled. I do not mean to be dismissive when I speak of “mere opinion”. No, on second thoughts, I do. For “mere opinion” can and should be dismissed, even if it should turn out to be a good opinion. The dictionary defines “mere” as, amongst other things, “being nothing more than what is specified”. In short, “mere opinion” means “no more than opinion”. Or, in other words, “opinion unsupported by argument”. And what, I ask myself, is the point of that? I often post on this blog thoughts that are not fully formed, in the hope that it will lead to discussion and debate; and that, in the course of this discussion and debate, I can come to viewpoints more considered, less inchoate. If I were to be restricted only to my own opinions without offering arguments for them, I would merely be trapped within my own mind. And, believe me, that’s not a pleasant place to be trapped in. Inevitably, words are important. This is our means of communication – and, on this blog, where the occasional picture I put up is intended to be no more than decorative, our sole means of communication. Words have denotative meanings, and also connotative meanings, and they all count. This is why, when we debate matters, the words we use should be scrutinised, questioned, and their various levels of meaning teased out – those meanings we had intended, and those we hadn’t. This is what I understand as “argument”. I understand it to be probing each other’s viewpoints; questioning the wording, and teasing out subtleties and complexities that are not immediately apparent; picking holes in what others are saying, and having holes picked in what I myself am saying, so that in attempting to fill in these holes, we may consider things we hadn’t considered before. And the point is not necessarily to win. Often, the point is simply to see how well one’s thoughts stand up to scrutiny. If I come out of an argument without having modified my own thoughts in the light of something I had not previously considered, I tend to feel that the argument has somehow been unsuccessful; that, at some vital point, it has failed. 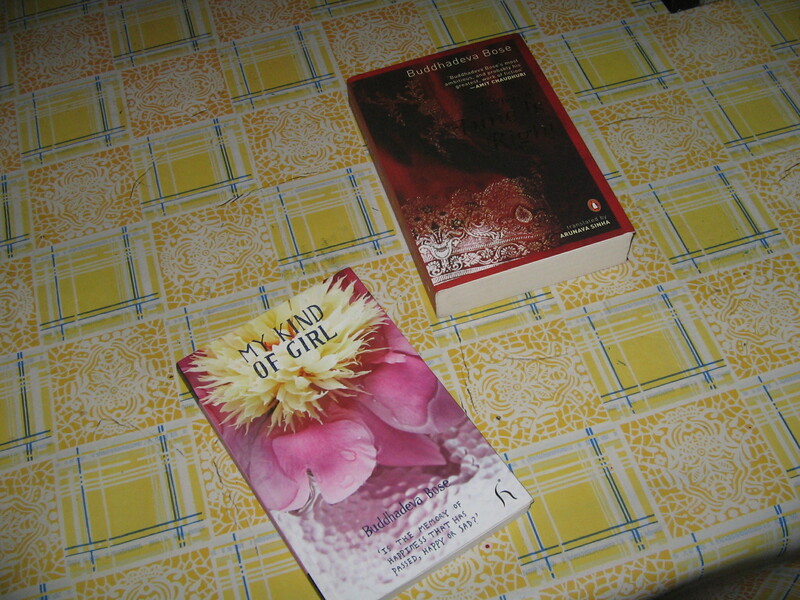 The titling of this blog was inspired by the title of this book by Amartya Sen. Indeed, my first title for this blog was “The Argumentative Indian”, but having now spent 47 of my 52 years in Britain, and rather liking it here, I really don’t know, culturally speaking, how much of an Indian I still am. But if, as Sen argues, questioning, disputing, arguing; being combative and contentious and disputatious; are all time-honoured aspects of Indian intellectual traditions, then these are traditions to which I am happy to lay claim. If I am indeed argumentative, then I am happy to be so; and if not, then this is a state to which I aspire. So three cheers for being argumentative! [The omitted chapter] appears to be so much above the stile and manner of anything else I have been able to paint in this book, that it could not have remained in it, without depreciating every other scene ; and destroying at the same time that necessary equipoise and balance, (whether of good or bad) betwixt chapter and chapter, from whence the just proportions and harmony of the whole work results. Now, I wish I could claim as much for my own missing chapter – the post that had appeared here yesterday afternoon, and, having been up here for an hour or so for all to see, mysteriously vanished. Now that it has vanished, there is no reason why I shouldn’t make grand claims for it – that it was written in a style and manner so much above anything else I have written here, that retaining it would have destroyed the inner harmony of the blog, and so on. But no: the sad truth is that it was an intemperate post written in a fit of extreme annoyance; and that, once I had calmed down, I realised that it did little to advance the image I try to project of myself of a jovial, avuncular figure, radiating to all a genial goodwill and a Pickwickian benevolence. This is the article that had aroused my ire. I have had occasion to take issue with Robert McCrum before, but on that occasion, I had been merely amused by what I took to be the foolishness of his writing; on this occasion, I was angry, and one really should not write when one is angry. Or, at least, having written, one should not reach for that “publish” button. In any case, I have already had a bit of a rant about this matter only quite recently. If there is any other post that you think this blog would be better without, do please let me know! How does one start a “blog meme”? I have no idea to the above question. One way is to nominate a number of bloggers, asking them to answer some questions and then to pass it on to others. But there are so many blogs I enjoy and so many bloggers I like, that it seems invidious to pick out merely a few. And in any case, I wouldn’t want to put pressure on anyone to write a specific kind of post. So, here’s the deal: If anyone out there is writing a literary blog, and you fancy taking part in this, why don’t you write a post about a passage from your reading that is of particular significance to you, and explain why it is significant? Once again, please don’t feel obliged in any way, but I’d be fascinated to see what other bloggers pick, and why. The passage could be from a poem, a novel, a short story, an essay, a play … anything at all really. And the reason why this passage is significant could be … well, once again, it could be anything: that’s the fun of the thing. I’ll kick this off with my next post. There are some questions we cannot help asking ourselves, even if we are convinced that there can never be a fully satisfactory answer. “Why does something exist rather than nothing?” is perhaps the most basic question of all. Of course, not everyone thinks the question is unanswerable; and not everyone even thinks the question is valid to begin with. Philosopher Adolf Grünbaum, is particular, is adamant that this question is not even to be asked, as it is meaningless. 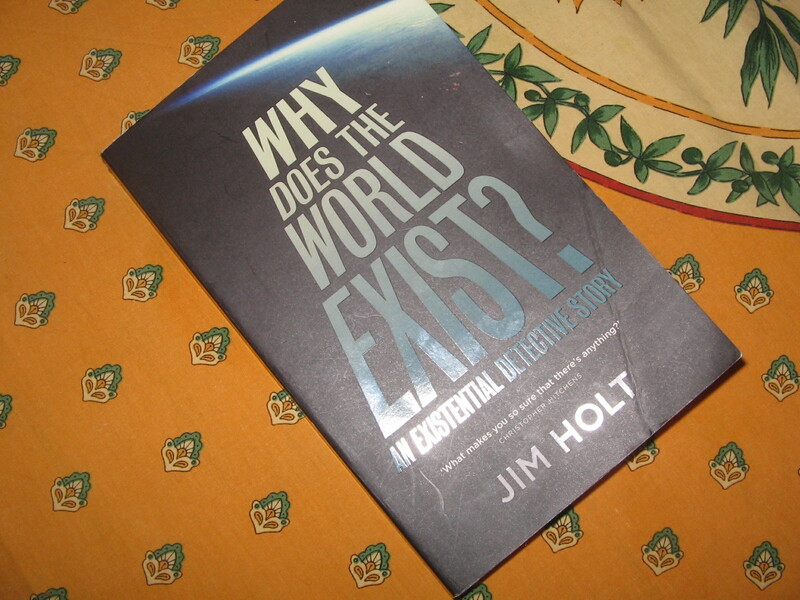 But, undaunted by this early setback, author Jim Holt sets out to find, if not the answer, at least the various thoughts and ideas that mankind has come up with in relation to this eternal puzzle. He describes his quest, somewhat tongue-in-cheek, as an “existential detective story”; and, during the course of his detective work, he interviews some of the foremost intellects of our time – scientists, philosophers, mathematicians, theologians; and even novelist John Updike shortly before his death, to consider the views of a creative artist. And the range of thoughts and ideas they all come out with is as bewildering as it is fascinating. His first interviewee, philosopher Adolf Grünbaum insists with some vehemence that the question itself is meaningless; another eminent philosopher, Richard Swinburne, opines that although the existence of God cannot be confirmed, it is the most probable given the laws of Bayes’ Theorem; a mathematician (Sir Roger Penrose, no less) thinks that the laws of pure mathematics preceded the universe itself, have an objective reality, and are immutable; and that the universe had to come into being to satisfy these laws. And so on. In between these interviews, Holt explains very clearly and with considerable wit some of the subtlest ideas and concepts from the fields of philosophy, physics and mathematics. I do have something of a background in physics and mathematics, but I was still grateful to have explained the philosophical implications of some of the ideas from these areas; and, not having any background in philosophy at all, I was extremely grateful for Holt’s very lucid and elegantly expressed expositions of various philosophical ideas. The result of all this is both entertaining and fascinating, although if Holt’s quest is indeed a detective story, then it is one of those post-modernist open-ended ones: here, at the end, Poirot does gather all the suspects together in one room to reveal the killer; but, instead of doing so, he merely goes through all his hypotheses, before finally conceding that he does not really know whodunit. As far as my own limited intellectual abilities go, the question asked in the title is insoluble. If every effect has a cause, as Leibnitz maintained, then we can, in theory at least, trace back the causes of all effects either until we get to the First Cause. We may call this First Cause God, as those do who are religious; or we may call the First Cause the laws of mathematics, as mathematician Roger Penrose does; or we may call it the principle of goodness – as one philosopher, John Leslie, does. There are other possibilities also. Or we may move away entirely from this idea of a First Cause, and say, as certain branches of Hindu cosmology do, that the chain of causality is infinite, and that everything, ourselves included, has always existed. If the former applies – i.e. if there is indeed a First Cause – then this First Cause has to provide an explanation for itself, and that is circular; but if the latter applies – i.e. if there are indeed turtles all the way down – we find ourselves lacking an explanation of the existence of this infinite chain of turtles. Of course, science has peered deeply into this issue. We now know that the universe started with the Big Bang; but, just as any child in scripture classes when told that God created the world asks “Then who created God?”, the question “Why did the Big Bang occur?” seems to me – pace Grünbaum – a legitimate one. What happened before the Big Bang to make it occur? At this point, we are firmly admonished: there was no time before the Big Bang, we are told, and, hence, to ask what preceded it is as meaningless as it is to ask what lies further north than the North Pole. But this answer does not satisfy. Whether there was time before Big Bang or not, why did it occur? Why is there not nothing? No doubt, scientists will be able to tell us some day why the Big Bang occurred: we know, for instance, that there is never such a thing as a complete vacuum, as even in nothingness there are quantum fluctuations – random spontaneous creations and annihilations of particles and anti-particles. And even out of this the universe may have emerged. But this seems to me to leave open the question: “If the laws of physics are such that the universe could come into being, then why are the laws such?” If our existence is contingent upon the laws that allow us to exist, then is it not legitimate to ask how these laws had come about? Did someone – God, say – decree them? Or did they appear spontaneously out of nowhere for no apparent reason? And is it in any case reasonable to view it in this manner? After all, that the laws that describe the universe must necessarily be the laws that caused the universe to come into being is but an unargued assertion. And even if we were to accept this assertion, unargued though it is, and accept that a universe capable of supporting life and consciousness came into being because certain laws allowed it to do so, then we are assuming that the laws came first; and this is surely disputable. Is it not, at least, legitimate to see the laws merely as descriptive of the universe, and, hence, only of consequence when the existence of the universe is already an established fact? Roger Penrose, for one, doesn’t think so. For him, the laws of mathematics have an objective reality, and are eternal. But he doesn’t explain why that should be so. The laws of mathematics are for him what God is to the religious – a brute fact, a point where we must stop and not look for further turtles underneath. But this seems to me merely to shift the mystery back a few links in the chain: the mystery itself is not solved. Even Steven Weinberg, among the most extraordinary scientific intellects of his or of any other age, feels there can be no answer. Or, at least, that human beings are not capable of comprehending them. But, Weinberg insists, science, although it cannot finally and irrevocably provide a solution, can indeed probe much further, and answer many of the questions that so puzzle us now. However, rather intriguingly, he goes on to say that the more explainable the universe becomes, the more pointless it seems. Not everyone feels this way: Richard Dawkins had famously declared that the more we understand of the universe, the more fascinating it becomes; and, in his characteristically imperious manner, he had insisted that we all should see it in his terms on the pain of being damned as obscurantist. That someone so very distinguished as Steven Weinberg can not see it in such terms indicates the importance of differing individual temperaments in these matters. And this is what particularly fascinated me – even more perhaps than the ideas expressed. If reason is objective, I wondered, then how is it that so many brilliant minds reason themselves into such diverse positions? And it strikes me that it isn’t really reason that has led these luminaries to their very different conclusions: it’s their temperaments. If these same people had been born with the same powerful intellects but with different temperaments, then their reasons would have led them to very different conclusions. Inevitably, this leaves me wondering where my own temperament leads me. I do not of course possess anything like the level of intellect of the various people Holt interviews, but nonetheless, like Steven Weinberg, I too cannot help feeling that the more we understand the mechanism of the universe, the more pointless it seems. I do not see the point of offering a defence of such a perspective: it is my own temperament, and no more. Speaking for myself (and, I emphasise, only for myself), if we are to live our lives as fully as we can, we must not see our lives as pointless, as lacking significance. And I find myself actually grateful that the full answer to the question will always elude our human understanding. In short, for me, it’s turtles all the way down!